Automated gates are popular with both commercial and residential properties. They add much more convenience and safety compared to manual gates. Before automated gates became available to the masses, gates would have to be opened manually. 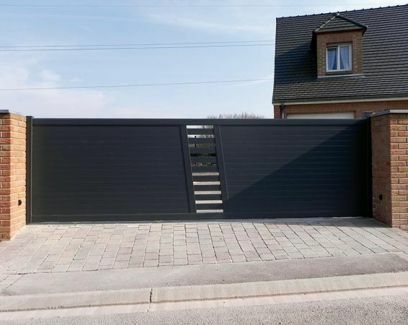 This could be seen as an inconvenience if you have a gate that is designed for your car to enter your garden. Rather than having to leave your car to open it manually, automated gates allow you to enter your garden without needing to leave your car. Automated gates do all of the work for you, and as a result, they are becoming popular with both commercial and residential properties. Automated gates also have an extra security feature that manual gates don’t have. Technology has already been introduced to both commercial and residential gates and keypads or sensors with fobs are commonly used in order for you to gain access. Intercom systems are also a common feature on automated gates and they allow the owner or resident to accept or reject whoever is at their property. Whilst keypads, fobs and intercom systems offer great security for your and your home, it seems security could step up a gear in the future.